Posted: Thu Mar 10, 2005 1:04 pm Post subject: yeah black celebration. was their second best album. frankly some great reward is their best album...I grew out of the newer stuff though some of violator was good but the old stuff is still very good and speaks to me. you guys rock and thank you very much for putting together such crisp streams...thanks. Can't wait to hear the set though! Hey, are you the real Austin H who did this remix? If so, sorry about that little typo, fixed! WELCOME ABOARD to the CHEESE factory!!! Holy hell, I'm at 17 minutes -- hot hot hot -- nasty transition, held the vocals from the first track out to the right length and the perfect level; smooth, progressive addition with the incoming tracks bass line, I'm just super impressed. 22:23, next transition: hit at a perfect time, agressive but at a welcomingly-addative level and then 22:59 kind of over-powers the last track. However, having spun this Dido remix plenty of times myself, I'll be the first to say it's hard as hell to drop this into anything non-instrumental. 24:50: did you add those fx?! If so, nice! 30:40: again, nice, well timed, good leveling/general feel. 30:57: nice top-line muting! 31:12: nice nice nice! Okay, I gotta get back to work. This is definately staying on at the blaring level it's rockin' though! Hey, are you the real Austin H who did this remix? Yes I am. E-mail me, and I'll respond. Email sent, do you do any vocal mixes? breaks? progressive? 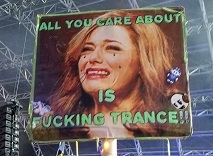 trance? interested in doing a guest mix for my vocal trance show? This set was pretty good. looks like a awesome set, cant wait for the DL or torrent. Mix is now hosted on megaupload, ENJOY! Click here to download from MEGAUPLOAD! Hello Everyone, I have lost the Cue file for Session 6, Please can anyone help? Download CUE: Right-mouse click and select "Save Target As"! Omg Ray.. I just had the same feeling man. I love this track. did you find the original cuz I was going to ask the same thing! And wtf! Calgary? Did this happen (have to read the history!) If I missed that I'm gonna cry..
DM - But Not Tonight = Total Ear Cummage!!! My favorite DM track ever!!!! We did a show in Calgary this past June 2005, thread here. We're planning to return for June 2006 so stay tuned! Oh man! ..I'll travel to cow-town to see you guys. Normally avoid that place (inside alberta joke) but.. alas.. the ends justifies th emeans! It works. I just tried it. Well, there was a slight mistake with the cue and it may've caused problems with some programs (foobar2000 for one, track 2 wouldn't show up till I fixed it). Cues seem to be really picky! Also fixed Austin H's name in track 1. You've got a typo in the cue sheet, track 2, should be "Palms" not "Plams"
Our donated server seems to be down, not sure when it'll be up, will keep you guys posted.